The Belk Bowl is quite popular in the sports betting circles, and you could make a decent run for the big bucks if you pay attention to our brief summary of the game. In this article, we offer a schedule of the events and betting line statistics that might be appealing to bettors. *Lines were taken on December 11, 2018, and subject to change over time. When will the game go down? The 2019 Belk Bowl showcase will feature a clash between South Carolina from SEC (Southeastern Conference) and Virginia from ACC (Atlantic Coast Conference). Their head coach for the last 3 years has been Will Muschamp, and with Bryan McClendon as their offensive coordinator, they’ve managed to secure a place at the Belk Bowl. Also, they are considered to be the favorites in the game, according to many Belk Bowl betting offers. The Virginia Cavaliers come from the University of Virginia, and their home stadium is the Scott Stadium or the Ranch. They have a great coaching staff with Bronco Mendenhall as the head coach for the last 3 years and Nick Howell as the defensive coordinator. Both teams have played exceptionally well throughout the whole year and rightfully earned a spot at the 2018 Belk Bowl. However, before you try getting the most out of Belk Bowl Betting, check out the form and team records of the two teams. Before exploring your Belk Bowl betting lines, let’s first check up on the details of the game. The game will be played on December 29, 2018, at the Bank of America Stadium in Charlotte, North Carolina, home of the Carolina Panthers. Furthermore, this will be the 17th edition of the Belk Bowl, concluding the 2018 FBS season. Get information on other College Bowl Betting Lines with this analysis. The Panthers stadium can host over 75,000 spectators, so we expect nothing less than a spectacle. The game is more enjoyable with the winning ticket in hand, so you should start exploring your Belk Bowl betting options while the odds are still hot. Virginia Cavaliers had a decent 2017 as they finished the season with a 6–7 overall record, with a 3–5 record in the ACC Coastal Division, and ending the year at the fourth spot. They were the participants of the Military Bowl, where they were defeated by the Navy Midshipmen football team. 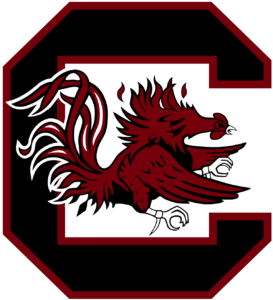 The South Carolina Gamecocks played exceptionally well in the 2017 season as they managed to secure their fifth season with over 9 wins in the last 8 years. Their overall record in 2017 was 9–4, and they went 5–3 in the SEC. The Gamecocks started out the 2017 season with wins over NY state and Missouri. Unfortunately, their star receiver Deebo Samuel had a season-ending injury in the game against Kentucky. They won the Outback Bowl against the Michigan Wolverines, defeating them 26–19. In 2018 season, Gamecocks’ gameplay has slightly dropped as their overall record is 7–5 (4–4 in SEC). On the other hand, the Cavaliers are playing significantly better as their overall record is 7–5 with 4–4 in the ACC Division. Given the recent success of both teams, it’s no surprise to see that Belk Bowl betting odds for both teams are similar. The 2019 Belk Bowl will kick off in a couple of weeks, and it will be a long and exciting road for bettors who wish to get their hands on Belk Bowl betting lines. If you want to make the most out of your Belk Bowl betting, it would be wise of you to hear out the predictions from our sports analysts. If we look at the form of both teams, we can safely assume that it will be a close game. According to advanced metric stats, the Gamecocks have a slight advantage over Cavaliers. If we take a look at the defensive Stat comparison of the two teams, we can see that South Carolina has better numbers at Opp 3D Conv % and Opp RZ Scoring %. On the other hand, Virginia has better offensive stats due to their outstanding Rush Play % (55.21%) and Completion % (63.79%). The Belk Bowl betting odds are in favor of South Carolina, as Virginia is a 3.5 point underdog in the game. The two teams have met only twice since 1995, and they grabbed 1 win each in those faceoffs. Nevertheless, we can expect a great, exciting game with both teams leaving all on the field. We hope that the information from this article was useful and that you’ll score a success on your Belk Bowl ticket. Belk Bowl betting options are quite extensive, so make sure you do your homework before making a final pick. Also compare odds if you have time, on various bookies such as William Hill. The clock is ticking, and the Belk Bowl showdown is around the corner. Read about other bowl games taking place on the December 29th like the Orange Bowl or about betting on the National Championship.